So many things have happened in 2014 that makes it hard to believe that's December already. Sadly, it doesn't feel like the holidays will all the chaos going on in the world but I find comfort in the simple things life has to offer. Its always refreshing to mix and match essentials that you have with pieces you can invest in. 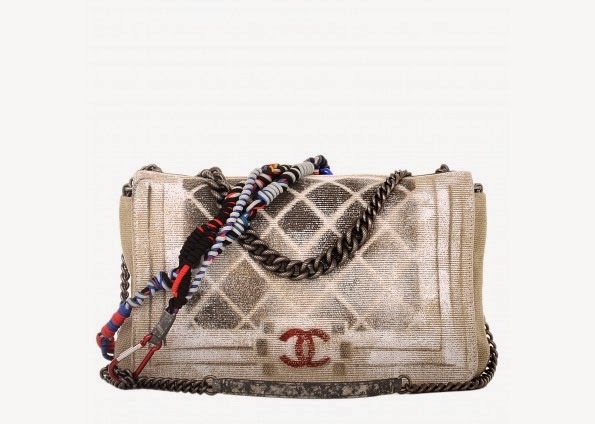 The Chanel boy bag is the perfect investment piece to have all year round and although there are imitations, like the Rebecca Minkoff love crossbody, nothing comes closes to the real thing. Chanel is for the heart but it wouldn't be winter without a delicious cup of coffee from Startbucks. My drinks of choice is a venti caramel brûlée latte or caramel macchiato and a snowman cookie. Now if I'm in the mood for something other than caramel, then the hazelnut or white chocolate macchiato are my next options. Love the H&M Waistcoat! What a great find :) Happy (almost) holidays! Starbucks and and iPhone are absolutely necessities :) I love the patches on that sweater, it gives it a more cozy casual vibe.